box scores supplied by http://www.retrosheet.org. One of the greatest pitching duels in Major League history: Juan Marichal (SF Giants) vs. Warren Spahn (Milwaukee Braves) at San Francisco’s Candlestick Park on July 2, 1963. The 42 year old veteran against the young Dominican, both eventually to be in Cooperstown. The crowd that night witnessed the greatest pitching performance in the history of the Stick, one of the greatest two-man duels of all-time. Over the last eight innings, Marichal held the Braves to two hits and retired 17 in a row at one stretch. Overall, Marichal gave up eight hits, walked four and struck out 10. Each pitcher threw more than 200 pitches, Marichal threw a staggering total of 227! Spahn finished the night having allowed nine hits and just the one, intentional, walk. He struck out two. Extra Notes: Spahn went 23-7 in 1963 (at age 42!) matching Christy Mathewson for most 20 game winning seasons: 13. He is the winningest lefty in baseball history with 363 wins. Marichal pitched his 1st no-hitter a couple of weeks before this game, becoming the first Latin player to accomplish that feat. From 1962 through 1971 Marichal averaged 20 wins per season. and in ERA in 1969 (2.10). Marichal topped the league in innings pitched in 1963 and ’68 and in complete games in ’64 and ’68. Pitching in eight All-Star Games, he compiled a 2-0 record and a 0.50 ERA in 18 innings. From 1963-69, Marichal, with a 154-65 record and a .703 winning percentage, won more games than any pitcher in baseball. More than Koufax, more than Whitey Ford, more than Cardinals great Bob Gibson. He also led baseball in complete games during the 1960s by a wide margin. In his career, Marichal completed 244 of his 457 starts. He ended his career, prematurely after a bad reaction to medication, with a record of 243-142 with a 2.89 lifetime ERA and 3,507 innings pitched. 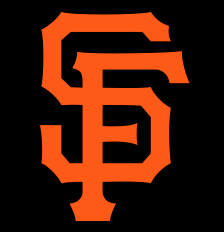 * Note: The Giants used to hand out a little pin called the croix de candlestick to anyone who stayed to the end of an extra inning game. I have no idea if that tradition was in place in 1963, but if so then this would be a treasured one to have. My mother and father were at this game. It was the beginning of a trip that ended in their wedding in Reno Nevada three days later. My whole family was at that game. I was ten, and my next-older brother kept score (a 13 y.o. math guy). There was no Croix de Canclestick at that time, or we would have had five. Croix de Candlestick was given out to fans who stayed to the end of an extra inning night game. Started in 1983, don’t know when it ended. I wonder if it would be possible to get a recording (I presume the game was broadcast on the radio?) of the game in its entirety – including advertisements? An electronic file, a CD or even a tape would be fine.